Donna Brazile holds nothing back in criticizing the Democratic Party in the her upcoming book, “Hacks,” revealing not only the financial woes former President Obama had left the Democratic National Committee’s finances, but also confirming that the DNC had in fact rigged the nomination for Hillary Clinton all along. The news has shaken up the Democratic Party and forced liberals into damage-control mode, including over at CNN, where according to Fox News’s Tucker Carlson, executives have told employees to discredit the former acting DNC chair in order to protect Clinton. Those efforts included Brazile sharing a primary debate question with Clinton, which CNN hosts are using to discredit her. After playing clips of the hosts attempting to make her look bad, Carson said laughing, “it’s unbelievable, in retrospect, they’re so obvious talking points.” And it’s not just CNN, he reported. 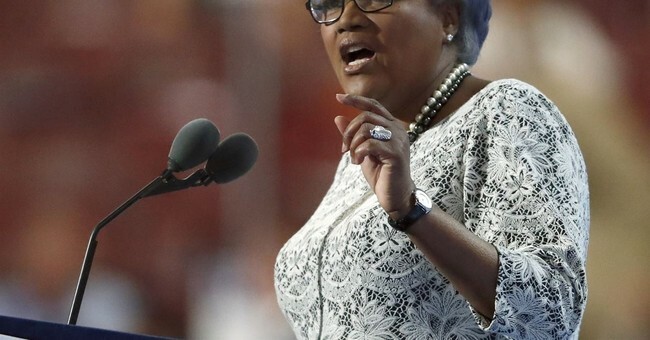 Brazile will appear on “Tucker Carlson Tonight” Wednesday to share her side of the story.